Nov. 21, 2013- It was an exciting end of the season when the LA Season Finale (Nov 15-17) hosted the second annual LEGIS League Finals and the final week of the all-new Ponypalooza. Pony riders wrapped up three wonderful weeks at the Los Angeles Equestrian Center filled with pony classes and fun activities. Emily Reaves (Ginny Plancke, trainer) and her Summitview Clairvoyant finished the year with a bang by winning the LEGIS League Children’s Pony Hunter Finale. Twelve-year-old Emily is a familiar face at LAEC and is known for her work ethic. “I work for Ginny in exchange for lessons so I clean tack, walk horses, and do other barn chores. 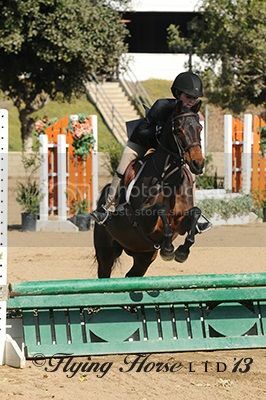 I also work at the horse shows to help pay for my entry fees,” Emily explained. “I help pick up the judge’s cards and hand out ribbons all day.” Though she is usually the girl who hands out all of the ribbons, this show it was her turn to receive the blue ribbon. The LEGIS League Jumper Medal Final combined equitation and jumper skills as riders had to execute equitation tests like the counter canter, but still show jumper pace and efficient turns as if on a jumper course. Freedom C (Vicky Dimitri, owner) proved his versatility yet again with a win in the jumper medal final with Deni Hird (Stephanie Haney, owner) in the irons. 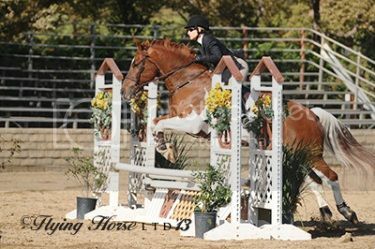 The pair have been unstoppable this season and also took home the championship in the Junior Hunters, 17 & Under, and Equitation, 12 thru 14, and reserve championship in the 3’3” Performance Hunters. 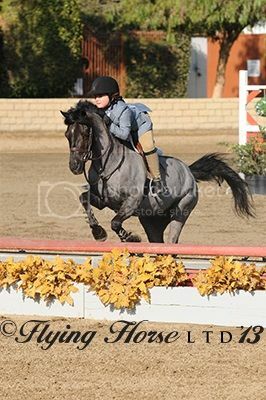 Lili has been riding for about twelve years, and she got into riding because of the movie Seabiscuit. “My parents actually were two of the producers for Seabiscuit, and after being around the horses and seeing all of the great riding, I decided I wanted to try it. I’ve been riding with Cha Cha ever since,” Lili recalled. Beth balances a busy work schedule with her riding. “I live in Ventura and ride with Julie in Santa Clarita, so it’s a bit of a trek for me,” Beth explained. “Luckily, at work I have a ‘flex’ day, which is a half day, so I ride then. I only get to ride twice a week because of my busy work schedule, but I always make it a priority because it’s my stress relief.” Beth has owned Destre for seven years and the two have had a successful season together in the 2’6” medal classes. In addition to the LEGIS League Child-Adult Medal Finals, the LEGIS League offered four other medal finals as well as a trainer incentive for the leading medal finals trainer: a choice of a weekend stay in Lake Tahoe, Phoenix, or Palm Desert. With a win in two of the five medal finals and several other riders in the top five, Mary Gatti of Rainbow Canyon Ranch earned the LEGIS League sponsored weekend getaway. 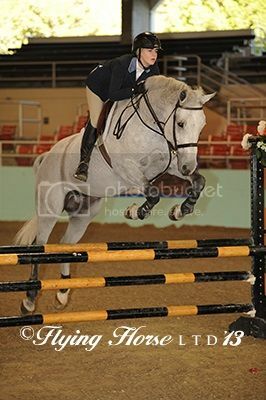 Mary’s riders took top honors in the LEGIS League National Children’s and Adult Medal Finals. Claire Sears rose to the top of the Children’s Medal Final aboard her Magnifique, and Christina Bauer took home the win in the Adult Medal Final on her Buccaneer. Christina also placed third in the LEGIS League Jumper Medal Finals on her Corsair. More information about the LEGIS League is available at www.legisleague.com or by contacting Raechel Henrickson at raechel@legisleague.com. The 2013 show season was a great one with lots of fun memories. Though the show season is drawing to a close, we are already looking forward to next year. The LAEC Opener Horse Show will start Jan 17-19. Hope to see you there! Connect with LEG on Facebook for news, photos, and more!